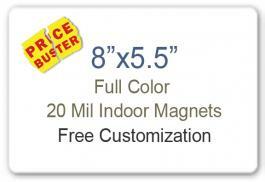 A creatively inspired promotional 8 x 5.5 round corner full color magnet -20 mil possesses longer shelf life than regular 20 mil business card magnets. So, advertisers who are wary of huge spending on marketing materials or those who cannot afford to spend on expensive business gifts – can wisely utilize this magnet for positioning themselves. A custom 8 x 5.5 round corner full color magnet positioned as a calendar magnet or some other interesting piece of art, stands higher chances of acceptance and serves longer than regular promotional magnets. 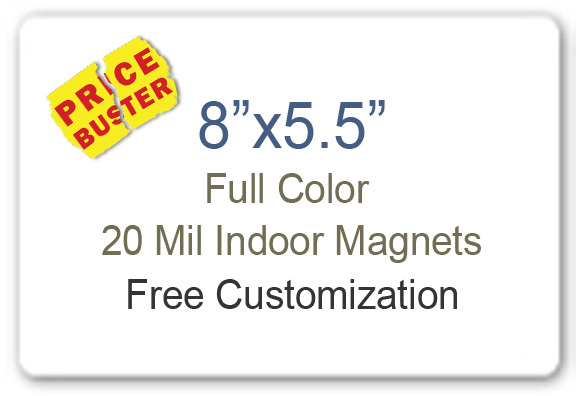 A personalized 8 x 5.5 round corner full color magnet can be offered during niche specific promotional events or it can be sent out as a mailer.